Over time on this radio program, I’ve had a number of Lyme disease advocates on the show discussing their positions on the various aspects of the bacterial disease (HERE, HERE, HERE and HERE ). In an effort to offer some balance to these viewpoints, I had a discussion with the Clinical Director for the Division of Infectious Diseases and Professor of Medicine at Johns Hopkins, Dr. Paul Auwaerter about several areas of interest to include diagnosis ( the CDCs two-tier Lyme disease testing process, alternative testing), treatment, chronic Lyme and Lyme literate physicians, among others. Canada has the highest number of M.S. in the world 340 /100,000 and the absolute lowest Lyme disease 3/100,000 in the world. There is the possibility of a serious misdiagnosis which needs urgent study. Borrelia can evade and downgrade the immune system’s response. Borrelia can form bio films, convert to cystic form, lay dormant avoiding both antibiotic and immune attack. Borrelia can form persister cells which survive antibiotic attack. The accuracy of the NIH studies which refute the positive effects of the use of long term antibiotics have been questioned by other scientists. Fatigue is an inaccurate description of the symptoms related to LD, Severe, global, muscular and cognitive energy depletion and functional incompetence, is more accurate. Diagnostic tests are currently not fit for purpose. Clinical diagnostic medicine is a dying art. 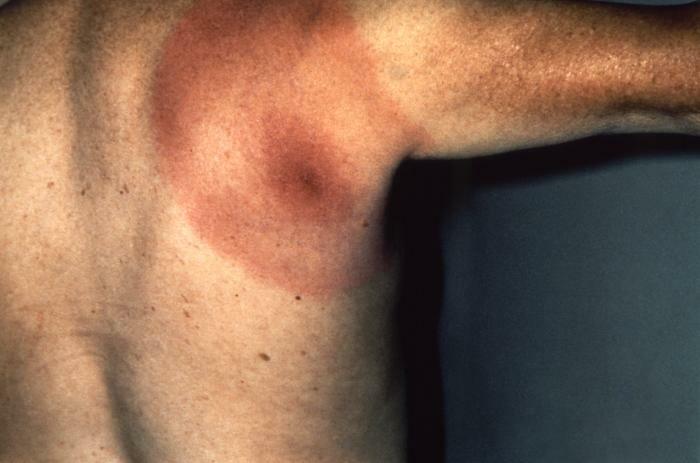 Patients can be given an erroneous diagnosis of auto immune disease particularly if they have developed LD arthritis. They can then be given immune suppressant drugs which is catastrophic. I believe ignorance about LD and medical arrogance related to it will become the next medical scandal of the 21st century. I just listened to your radio interview with Dr. Paul Augwaerter. I was dx 1 1/2 years ago with Chronic Lyme after being dx with Rheumatoid arthritis 17 years ago. Before my Lyme dx, I thought I was dying. For four months I was going to the doctor weekly because not one physician knew what was wrong with me. I neglected to tell you that I’ve been a RN for 17 years also. So Rheumatologist, Neurologist, PCP, Urologist…. umpteen diagnosis codes from sleep disturbances, depression, chronic fatigue syndrome, fibromyalgia, migraines, muscle ataxia or chronic pain, chronic edema with unknown cause, neurogenic bladder, and on and on to the point of not being able to think, focus, remember, walk, void etc. the list goes on and on. I’ve been on several antibiotics, antimalarials, probiotics, B12 injections, bladder medications, and those are just to name a few. I am 50% maybe even 60% better than I was last October but still have a ways to go. So forgive me if I tend to disagree with some of Dr. Paul’s statements as I am living proof that Chronic Lyme exists. There may not be a clinical cure but my life entails more than a little pain or being tired. I’d take that any day and give away not being able to remember or forget words, get confused, not be able to shut the mind off at night and simply sleep, be able to void like a normal person, and to walk without my heart rate increasing and becoming SOB and my right leg hurting or my quad spasming. Thanks for allowing me to share. Interesting interview with Dr. Auwaerter. I agree with much of what he says, but have good reason to question some of his statements. However, Dr. Bill Rawls M.D., a former chronic Lyme disease sufferer, has written a brand new book that I highly recommend called, “Unlocking Lyme: Myths, Truths & Practical Suggestions.” In it, he delves into the element of the ‘compromised immune system’ that plays an important role in not only the initial inception of Lyme disease, but it’s continuation and, most of all, potential eradication, in the human body. As a physician and former chronic Lyme disease patient himself, he offers a unique insight into this complex disease and some of the best professional and clinical advice, in my opinion, on the subject. I would strongly suggest this book to anyone who has never read it. I have a library of the latest books on the subject. This particular one is one of the best! The good news is that chronic Lyme disease, as much of an enigma as it is today, can be cured. This process takes time, patience and work, but it can be done. There are too many documented cases that prove chronic Lyme does not have to continue to be chronic. This gives us reason to not only hope, but continue to work towards a solution. Blindly accepting anyone’s advice, including my own or that of a physician, without doing your own homework, beyond the anecdotal evidence from the internet, is absolutely a must for the chronic Lyme sufferer. Above all, do not give up hope. Get involved in your own healing process. Take action and educate yourself. Don’t give up!